The culprit? Squats! We did 25 squats in between cardio intervals, and then heavy-weight squats and squat jumps during the strength portion. Last night’s walk home seemed to take even longer than usual, probably thanks to the dead feeling in my legs! Needless today, the quads are feelin’ a little sore today. Thankfully, that’s one of the muscle groups I don’t mind being sore. Since I’m trying to use up the food that I have in my fridge, I’ve been having some pretty random meals lately. Furthermore, thanks to my level of hunger and impatience last night, I lacked a bit of creativity when making dinner. What to do when those two problems arise? 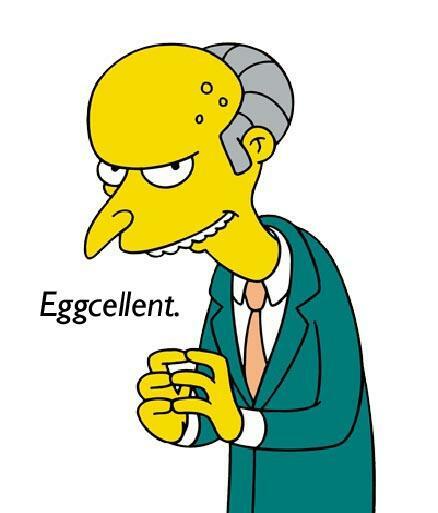 Eggs for dinner of course! 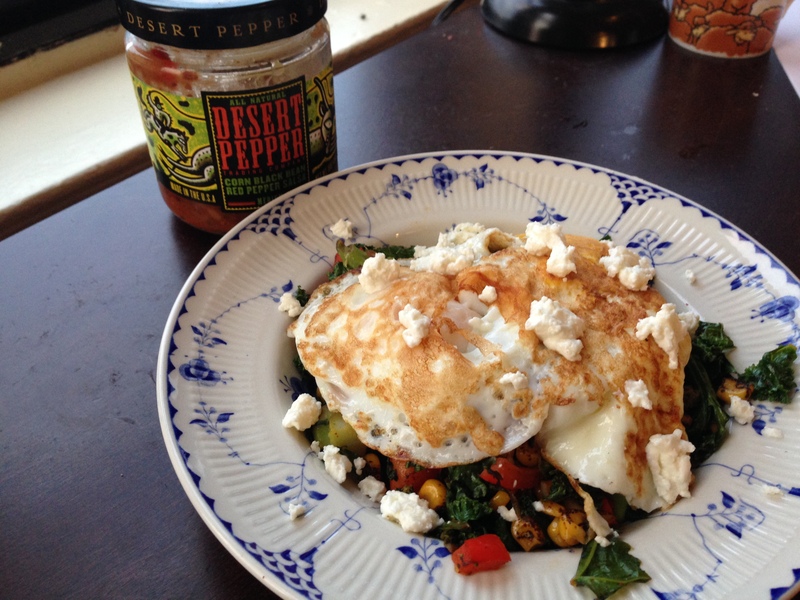 Dinner was almost exactly the same as lunch, however instead of a scramble, I topped my sautéed vegetables with two eggs over easy, and salsa! The semi-runny yolks and the salsa made this meal taste fairly different from the similar dish I’d consumed a few hours earlier. 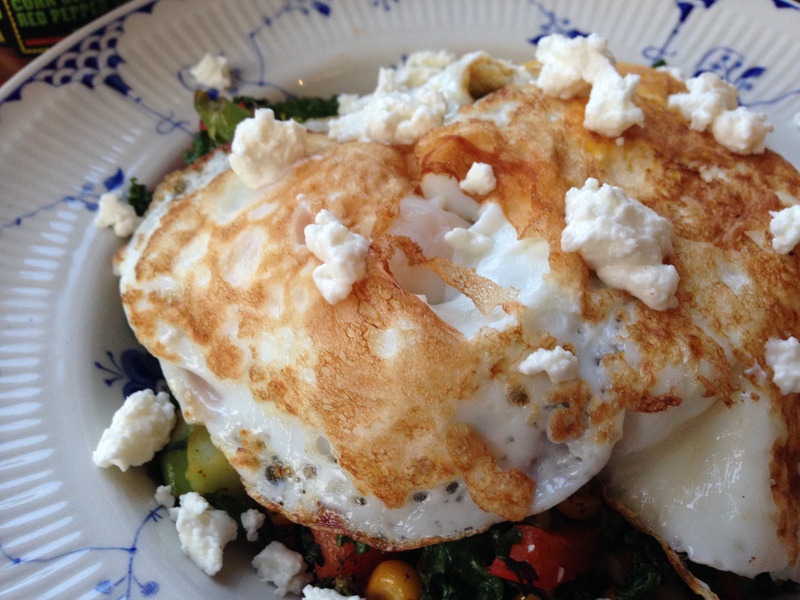 Oh, and goat cheese on top, too! 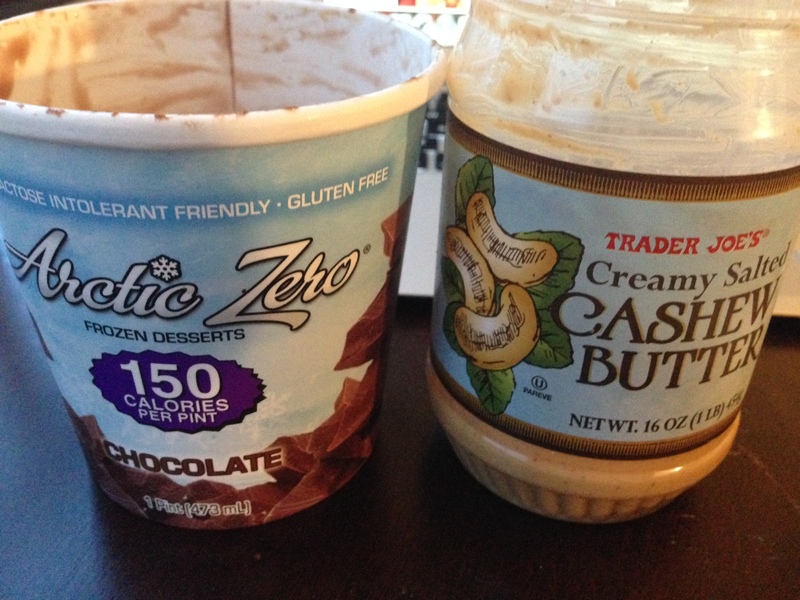 Dinner was followed up with some Chocolate Arctic Zero frozen dessert and cashew butter. Right out of the containers. 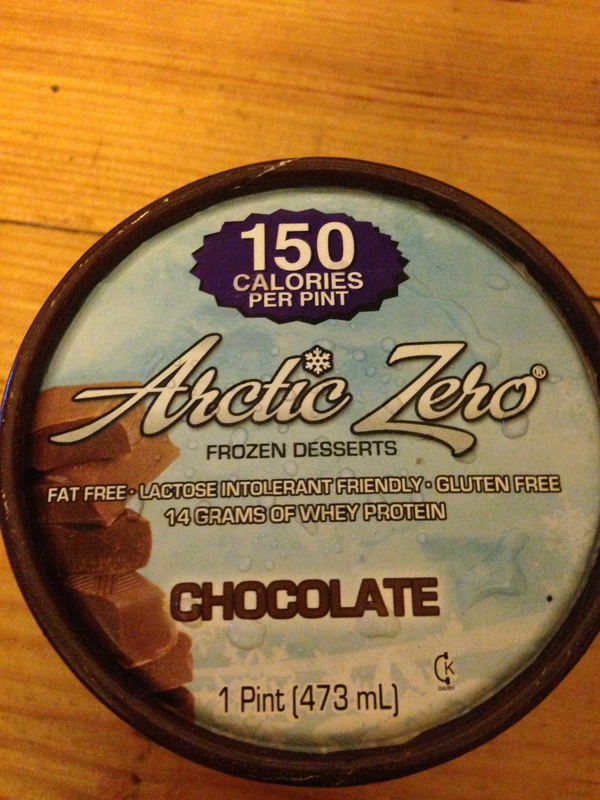 Have you ever heard of Arctic Zero? 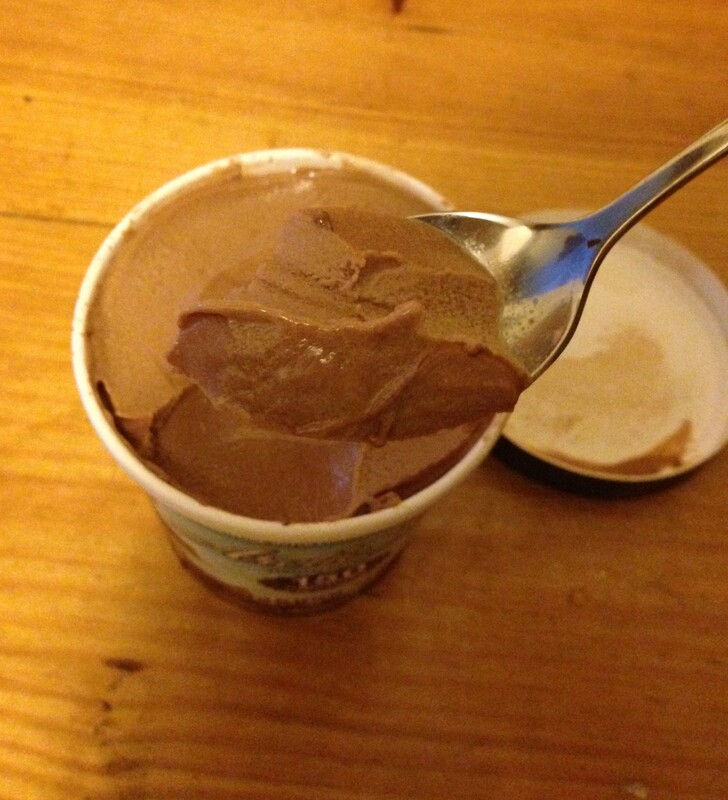 Well, neither had I until I was doing some blogging research (or procrastinating, whatever you want to call it), and found a blogger who said she ate an entire pint of it in one sitting! My first impression was: “Wow, I’m impressed“, but then I thought that there must be something unique about this dessert, so I checked it out online, and sure enough, look at the nutritional info on this baby! Go ahead, pinch yourself. But you’re not dreaming, I assure you. The only catch? Well, it loses its appeal once it starts to melt. So, as long as you eat it frozen (which is how it’s intended to be eaten), this stuff is quite seriously, ice cream lovers galore! 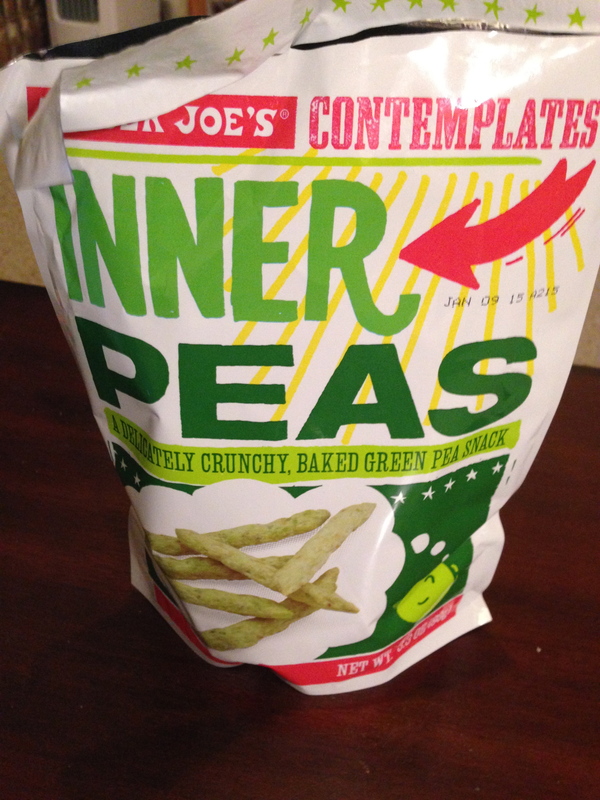 I also snacked on some Inner Peas later on, when a blog post I stumbled upon sparked a salty and crunchy craving. If you don’t leave near a Trader Joe’s, you can usually find their “name brand” counterparts, Snapea Crisps at most grocery stores. I’m not training until closer to 1 pm today, which means I had a breakfast marathon this morning! 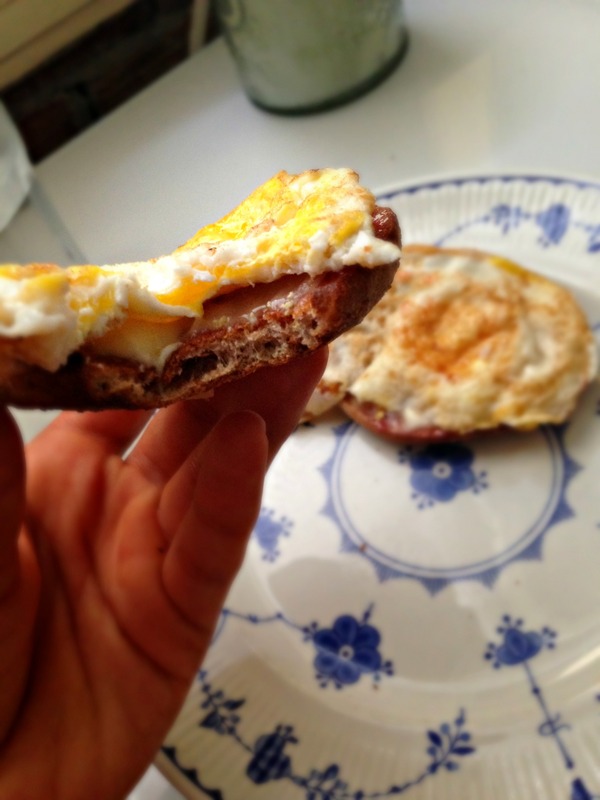 Eating 2 breakfasts within 2 hours before a late lunchtime workout gives me enough energy to last throughout the whole session, without being too full. If I only have one breakfast, and have a small snack instead of a small meal, I’ll get hungry during training, which, as I was reminded yesterday is no good! 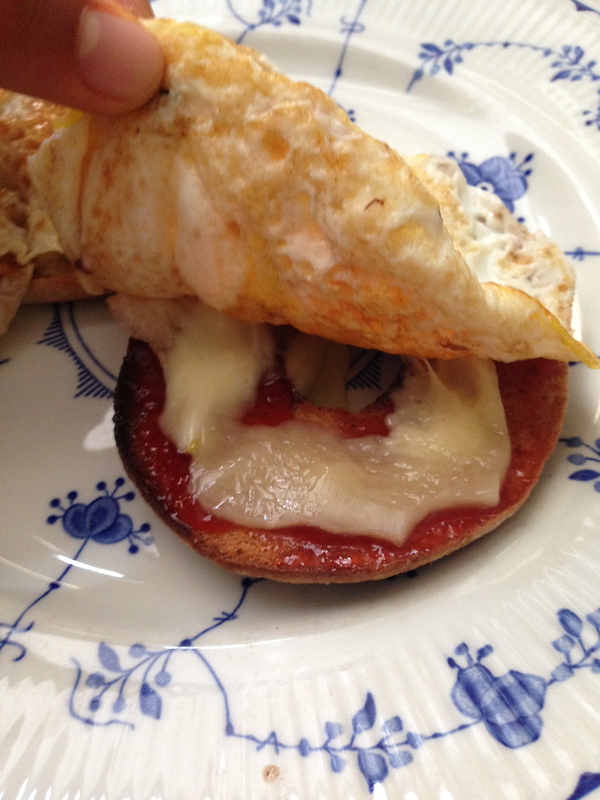 I started off with a bagelwich, topped with two fried eggs, cheddar cheese, and a little bit of strawberry jam. This was my first time trying the bagelwich open faced, and I loved it! 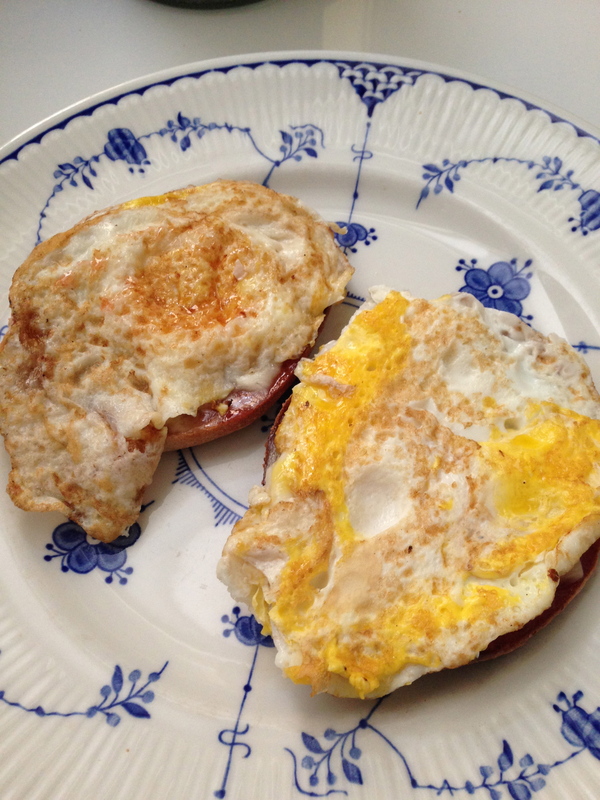 By eating it this way, I get to have one more egg, and it seems as though I get to eat two sandwiches! 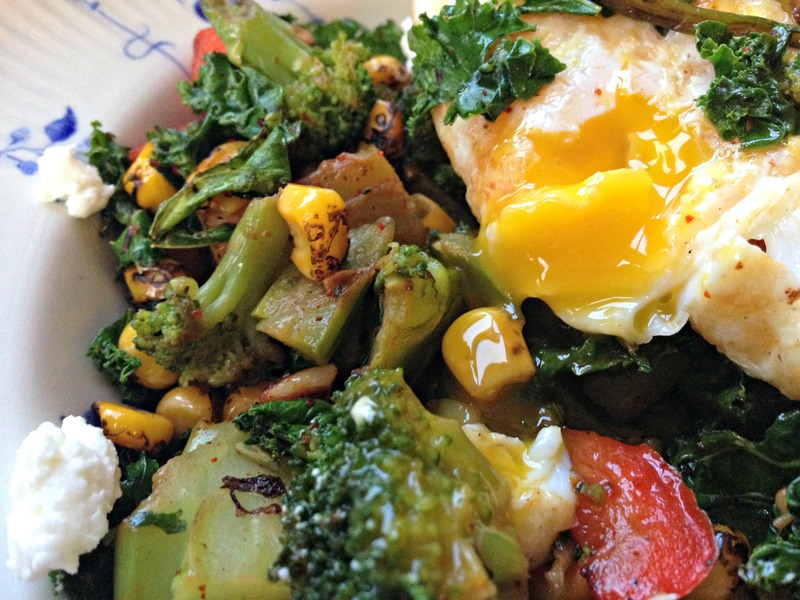 I spy with my little eye… under the egg! 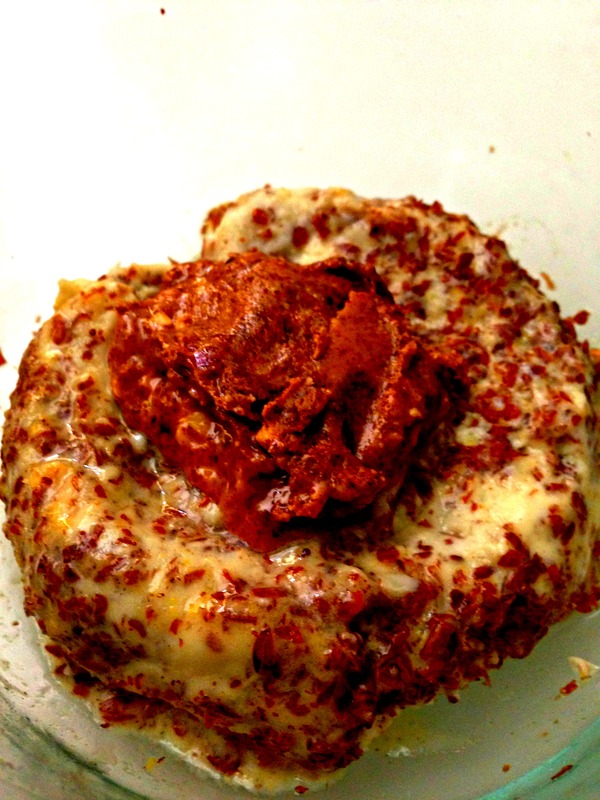 Melted cheese? You just can’t go wrong. The breakfast marathon continued with some breadless bread pudding, topped with almond butter. All those little brown flakes? Ground flax meal! This recipe is super simple and easy, because a) it only uses 3 main ingredients, and b) it takes 1.5 minutes in the microwave to make! Egg whites, protein powder, and ground flax meal! 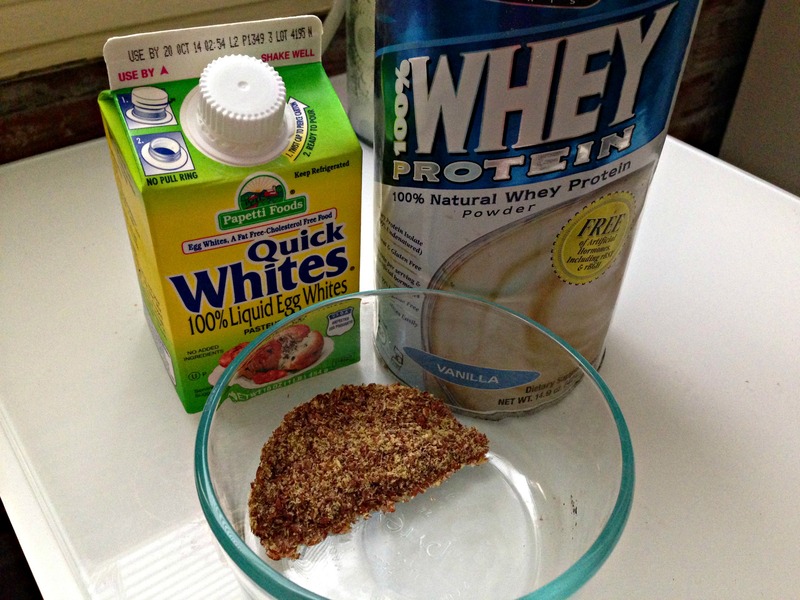 This is such a great little combo, because of the protein from the egg whites and protein powder, and the fibre and omega-3’s from the flax meal! Alrighty well as you can see, eggs have been the superstar of my meals, and as long as I don’t get too egged out soon, I’m all good with it! Also, since this post is featuring a lot of food, I figured I’d link up with Jenn at Peas and Crayons for What I Ate Wednesday! Even though it’s Thursday… 🙂 If you’re interested in seeing what other bloggers have been eating, be sure to check it out!